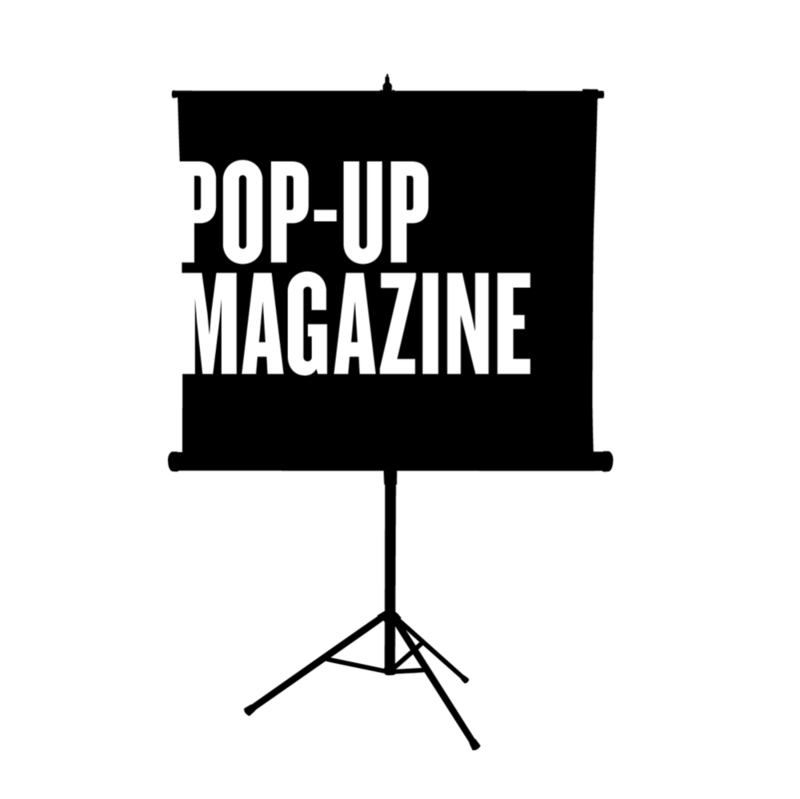 Pop-Up Magazine  is a unique series of live-narrated, live-scored, multimedia journalism performances staged at major theaters across the country. Contributors tell vivid, never-before-told stories accompanied by illustration, animation, photography, and an original score performed onstage by our musical collaborators, Magik*Magik Orchestra. We end the night gathered around the bar, performers and audience together. And nothing goes online after—you have to be there to see it. Douglas McGray is co-founder and Editor in Chief of  The California Sunday Magazine  and  Pop-Up Magazine  and CEO of Pop-Up Magazine Productions. His features have appeared in The New Yorker, The New York Times Magazine, and the Los Angeles Times, and he has made radio stories for This American Life. Chas Edwards is co-founder and Publisher of The California Sunday Magazine  and  Pop-Up Magazine , and President of Pop-Up Magazine Productions. He was co-founder at Federated Media, where he served as Publisher and Chief Revenue Officer. As cRO at Digg, he helped launch the first native ad product for social news feeds.